Hi All! I wanted to share some of my Thrift Store Finds. Speaking of my Facebook page, I would love if you popped over there and liked my page. Please and thank you. Just click HERE to like my page. And if you know how to add a Facebook like box to the sidebar, I would love your help. I cannot get it to work for me. :( Thanks. I went thrift shopping with my Mom and cousin Connie today! We all found some pretty cool stuff. This bed was a great find. A full bed for my lil girls room. I plan on painting it to match their room. The paint is orange and pink. They both wanted to choose a color. So 2 walls will be pink and 2 will be orange. Both colors match their bedding perfectly which makes buying a full bed a little concerning. I don't want to change the bedding. So if you have an idea on how to easily make 2 twin quilts into 1, please share. I found this cool table that will make a great game table for the kids playroom. It is a little loose, but luckily hubby is a contractor and woodworker. He will be able to fix it up. Then I will paint it. I like that we will be able to store games below while they can play on the table top above. 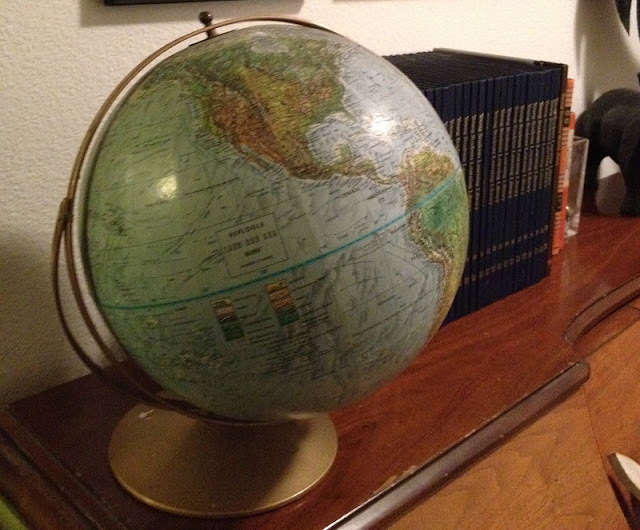 This old globe was perfect for my sons room. But after posting it on facebook, I have a new idea for it. ;) Thanks Girl in Air. Check out what she did with her globe! It is so cool. I am definitely painting mine! 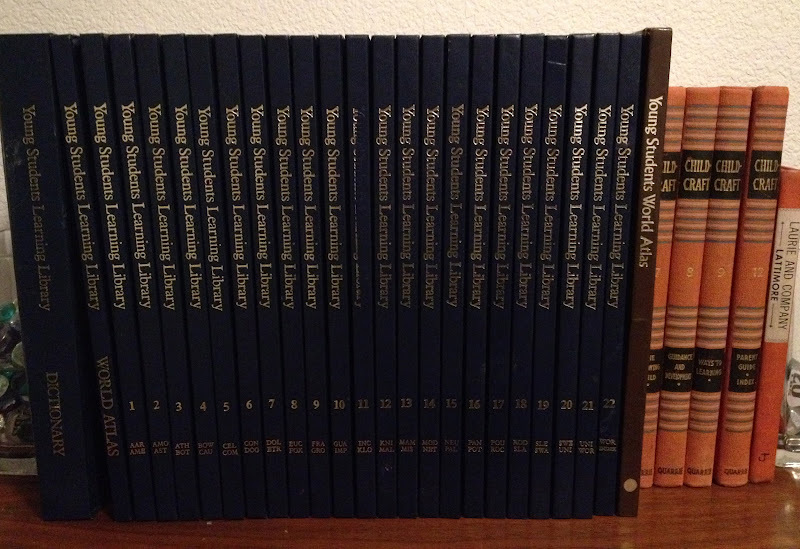 I found a complete set of the Young Student Learning Library. Out dated but still fun for the kids. I also found some Child Craft books. Thought they would be fun to go through. Oh and I even picked up a couple Golden Books. I am collecting them for a fun project for the kids. Coming soon! 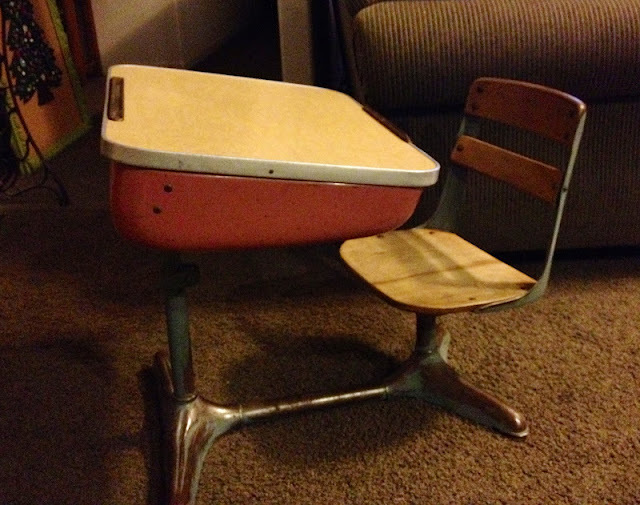 I have a couple of these desks but this one was the best bargain so far. I found this one for only $10. The last one I found was $50. This desk is in great shape and only needed to be cleaned up. I may add my own fun touches, but not sure yet. For now I like it the way it is. At the first thrift store I found a beautiful milk glass dish on the left of the photo. This is my first milk glass purchase and I LOVE it. After lunch we came across another thrift store that was not open yet. They had moved shops and were setting up. They were sweet enough to let us in to browse. That is where I found that big vase in the center of the photo. ;) At our last stop I found a milk glass vase for $1. And after I loaded my things in the car I went back in, my mom had found more. So we picked some and I got a few more. All pictured on the right. I have officially started my milk glass collection. I can't wait to display them. Lastly, I found something super cute for a birthday party. 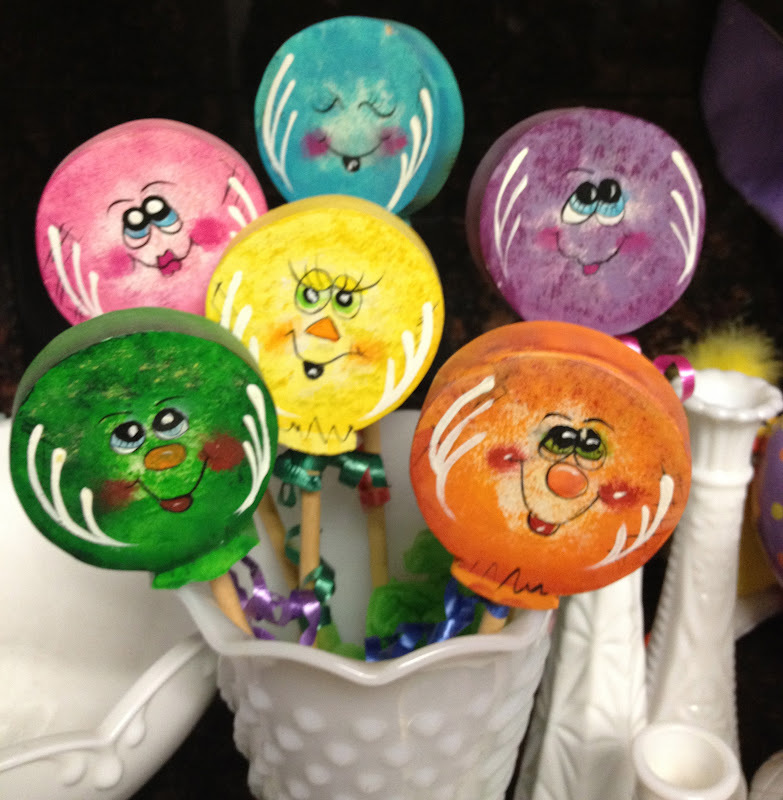 Someone had made lil wooden balloons with faces painted on them. They were at the thrift store for $.50 each. $3 in all. I plan on making a birthday wreath with these and displaying the balloons in 3's. Aren't they cute!?! We just had a birthday here, but have another coming up in a couple weeks, so this will be done immediately. Do you thrift shop? Are you addicted like me? Do you have some projects to share? Link them up below and share your comments too! 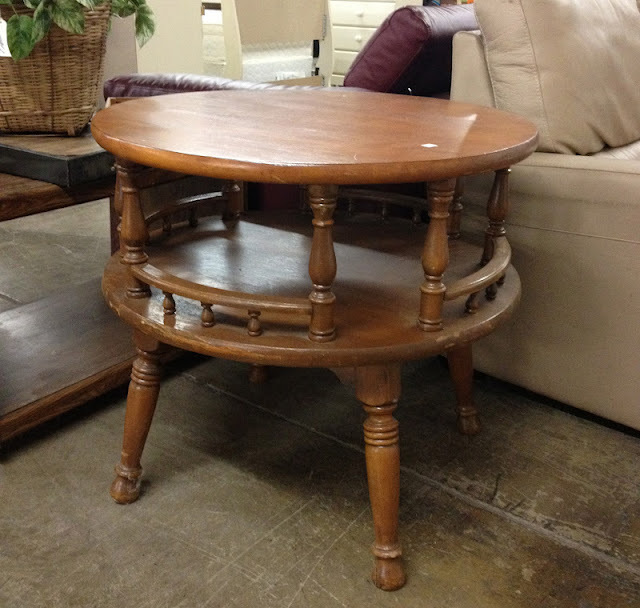 I love all my Thrift Shop finds and plan on sharing what I do with them soon. So stay tuned. See you all tomorrow for the Pinterest Challenge Party. Hope you come by to link up something that you made that was inspired by something you found on Pinterest. Visit HERE to read more about this party and our Creative Share party too! You can still link up at that party too. Just scroll below this post to link up your creativity! Don't forget to head over to like my Facebook page too. I have been on there quite a bit more lately and plan on sharing more of my thrifty finds too! Plus I have been enjoying chatting with you all there too! Wow what great finds! I picked up a desk too in fantastic condition that I need to post on the blog. I would absolutely love for you to join my Thrifty Love link party. It's every Friday. wow you are lucky to find such good stuff. i never find much of anything at my thrift stores. Amazing Find on that school desk!!! these are lovely finds. am curious what you are going to do with them! 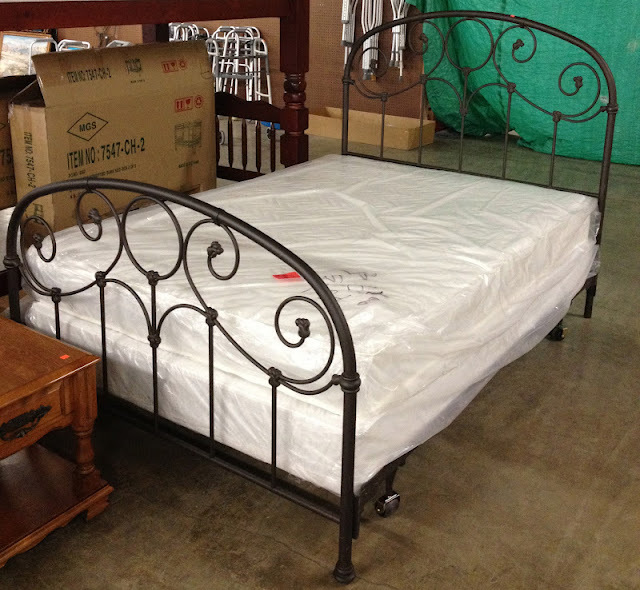 I love that bed - what a great find! Also, the milk glass is very pretty. Oh, I love all milk glass! And those birds, too cute!